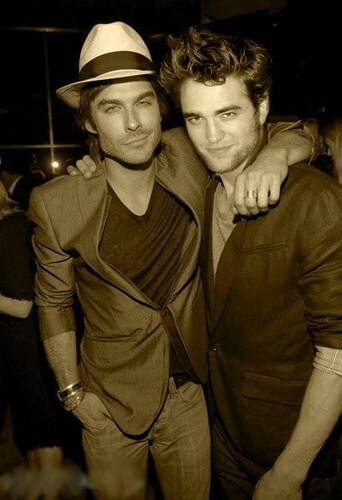 IAN SOMERHALDER AND ROBERT PATTINSON!!!!. Ian Somerhalder (Damon) and Robert Pattinson (Edward). Wallpaper and background images in the Ian Somerhalder club tagged: ian somerhalder damon robert pattinson edward. This Ian Somerhalder fan art might contain green beret, special forces, elite soldier, fatigues, and regimentals.